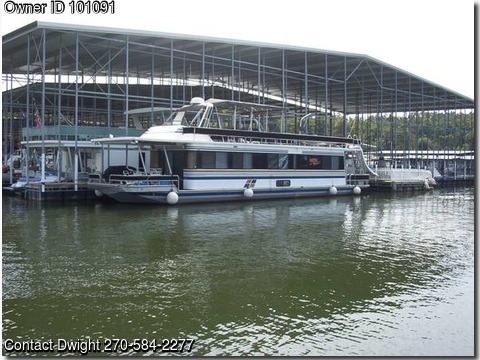 Boat is located in Kuuttawa,Kentucky.Please contact the owner @ 270-584-2277...1991 Sumerset Widebody Houseboat 64' x 14'. Volvo 131, 4 cyl. with 290 Drive, Westerby 12.5 KW Generator, Stern Thrusters, 2 Bedrooms 1 Cuddy & Couch that makes bed, Full Kitchen, 1 & 1/2 baths, Washer and Dryer, 2 Flat Screen TV's, Fully Furnished, Dingy on Top, Many Extras, Must See.